You are here: Home \ DIY Green \ Environment \ Going Green \ Resources \ Get rid of junk- the green way! Get rid of junk- the green way! With the exploding population and even further exploding needs of the current generation, waste disposal has become a big issue because all modern amenities seem to come for a price- the price being the health of the environment. Everything in today’s world, ranging from refills of gel pens to fast food to clothes to electronics- they all come wrapped in layers of plastic and thermocol, which definitely do provide the required protection from spoilage or breakage in any form, but are non-biodegradable which makes them a liability when it comes to the condition of the environment today. Landfills are nearly full, immense fuel and energy is used to transport the gazillions of tones of waste that needs to be carried out of the main city, to more landfills and dumping sites in the suburbs, which are on the verge of becoming overfilled anyway. Especially in cities, where plastic is the preferred material for most kinds of transactions between people, causes the landfills to choke completely due to their persistence in the environment for millions of years. So what can we do to help out in this case? Obviously, we cannot stop the use of plastic overnight, because it does have a lot of useful properties and is used in nearly everything we do through the day. Brushing in the morning- brush is made of plastic. Going to school- books are wrapped in plastic. Eating lunch- the burger is wrapped in plastic. Playing in the evening- the carry bag for your bat is plastic. Going shopping- nearly ALL carry bags are plastic! So since it is so ubiquitous, its use cannot be eliminated, but it can definitely be minimized, or at least reconstructed in a better way. First thing we can do is to try and minimize our dependence on plastic bags- use jute or cloth bags instead. They are easy to procure and can be re-used for long. Or else, do not accept plastic bags while shopping. Carry an old one along instead! Also, using two separate dustbins for degradable and non-degradable waste is a great idea. All kitchen waste like vegetable peels and such stuff (excluding plastic wrappers!) and paper and such items should be put into one and all plastic and non-degradable items into another one. You can throw out the non-degradable things into the trash, and use the kitchen waste as fertilizer in your garden! It reduces the amount of waste and constructs it for better use. Also, If you can create a worm bin in the garden, that would be a great option too. Also, trying to re-use whatever items we have at home instead of throwing it away is a good and constructive habit. If keeping them is not feasible and it is in good condition, you can give it to a charity instead of throwing those old balls or games away. Or else, host a garage sale- or sell the items online! This is becoming a pretty useful practice, which can help you minimize your waste too. Governments and scientists over the world are also researching about how to use garbage in a productive way and have succeeded in some places as well. Seventy-five percent of solid waste can be recycled, but it has not yet been achieved on a large scale. Sadly, most of our waste ends up in landfills, clogging and choking the very pores of it. Junk can be used to produce energy- and on a pretty large basis! This has even been achieved in Sweden and California, in their Bio-energy-action-plan where recyclable items are removed from the junk and the rest is used to produce energy. 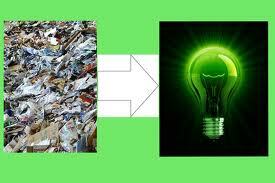 Sweden especially, is even importing waste from other countries to satisfy their energy requirements! There are, in fact, a number of groups, businesses and countries who have decided to curb the urge to take the easy way out and just keep looking for new landfills- and are opting for a better method of disposing their waste. Microsoft, one of the leading software companies, is also looking into channeling their waste into produce, via an experimental waste-to-energy data centre. They are looking to capture the biogas from local wastewater treatment facilities and use it to power their cloud services; in fact, they also plan to redirect the excess power back to the wastewater treatment facility to help them in their own electrical expenses! Since the 70’s especially, the quest to convert refuse into useful products or energy has been on. 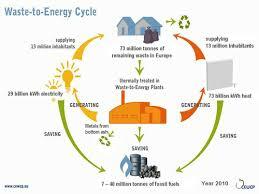 Wheelabrator facilities have converted over 145 million tones of solid waste into a whooping 75 billion kWh of energy! 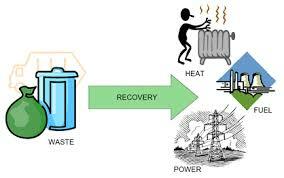 Even food waste-to-energy plants are taking off in various places. In Wales, Biogen, which is a leading food waste anaerobic digestion company, has won its third contract to operate another food waste to energy plant, which is said to collect food from homes and office places in a designated area near and around the plant, which will be used to generate and return renewable energy back to the grid. It is estimated that the plant will be able to generate enough energy to power around 2000 homes in an year! That’s not it- it will also be able to produce a bio fertilizer for local farmlands around the area. The fight against being overpowered by our own waste is still on- with everyone being a part of it. How good we are at it and how far we will be able to take this, depends solely on the efforts of the citizens- in a united manner!